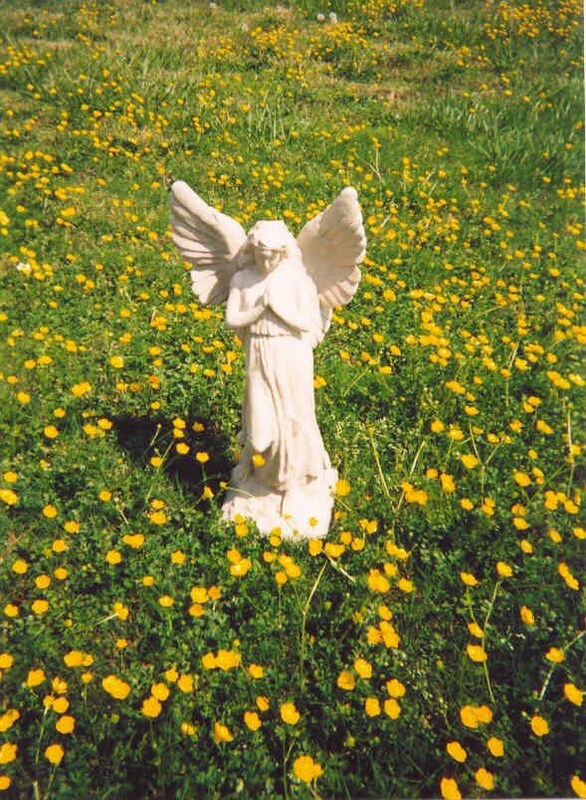 Angels for You: Acres of Buttercups! Yesterday my son, David, and I were taking a shortcut to Subway for lunch. Driving down New Bridge Road, we passed this beautiful field of wild buttercups blooming in acres surrounding an old abandoned farm house. Buttercups have always been a favorite of mine since childhood when I would pick one and hold it up under my friend's chin to see if she liked butter. If she did, there would be a golden glow. Our lawn was always colorful with buttercups, clover, and dandelions. In Nature-Speak, Ted Andrews writes that buttercup is unique as it will grow in every part of the garden. This is part of its message. With proper self-worth, we can succeed in every environment. It is named for the buttery color of its bloom. The buttercup has an energy which can awaken a new sense of self-worth. The individual will come to know his or her special gifts and how to apply them in life. "Take it to heart. Buttercup heralds a time of healing and understanding. This expressive flower reminds us to be more expressive ourselves. The power of your words will have a great impact now. " 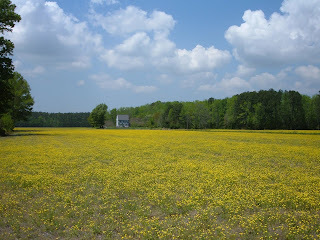 After reading Ted's message, I could see why the buttercups were plentiful in the field. The old farmhouse had lost its self worth, empty and standing alone. Here's another picture I took of a buttercup lawn on Atlantic Avenue. The old building had been abandoned, but the buttercup angels were pouring out joy. I drove home, got my angel statue and took this picture. It was the first buttercup lawn I'd seen since a kid, renewing the child in me.